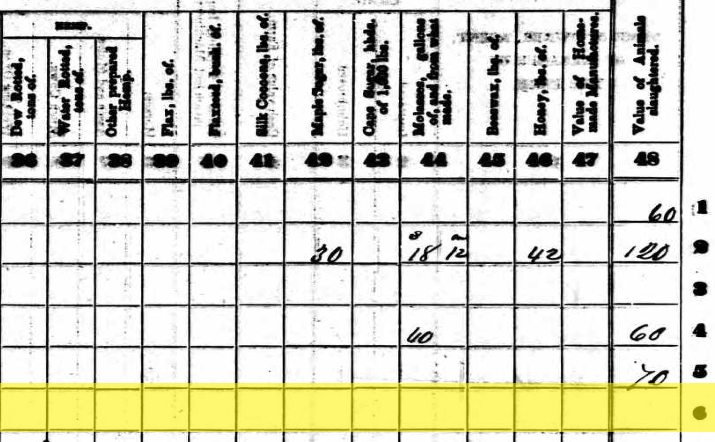 John Kelley, 1860 U.S. census, population schedule, Hopewell Township, Perry County, Ohio, p. 404, household 1090, family 1056. $3000 worth of real estate and $150 worth of personal property. Not bad. But what did John grow on that farm? 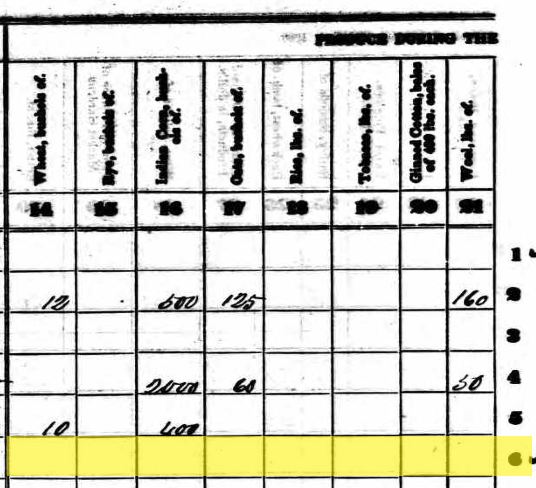 I turned to the 1860 agricultural schedule to find out. 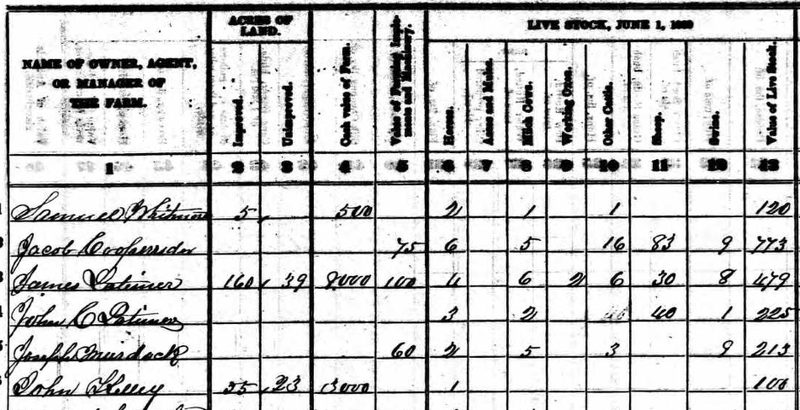 1860 agriculture schedule, Hopewell Township, Perry County, Ohio. No peas, potatoes, barley, or buckwheat. No butter, cheese, hay, or clover. No hemp (yes, it was a real crop), flax or flax seed. No silk cocoons (I keep hoping to find an ancestor who had some), maple sugar, cane sugar, or molasses. No honey and no beeswax. He raised something completely different, something that isn’t listed on the schedule. He didn’t tell the enumerator what he raised. The enumerator didn’t write it down or didn’t copy it over from his notes to this final copy. There is a fourth possibility. I’ve joked for years that I come from a long line of dirt farmers. Maybe John Kelley really was one. John Kelley died 7 July 1891 and is buried in Hopewell Methodist Church Cemetery in Perry County, Ohio. 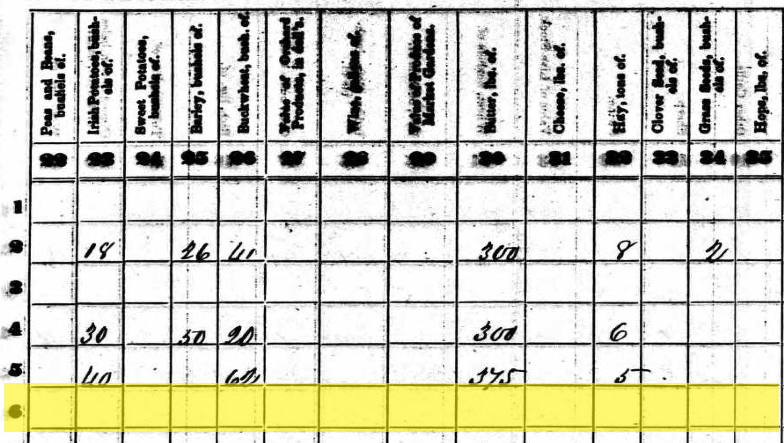 EDIT: I’ve formed another possibility about John’s listing in the 1860 agricultural schedule.